Discussion in '507 roadster (1954-1959)' started by Autohaus, Jun 12, 2008. I could not find a pic of this motor. Thanks for sharing that Paul! Thanks for saving me that research, Paul! I knew that, but I didn't want to have to go digging up a picture of a 507 block to prove it. 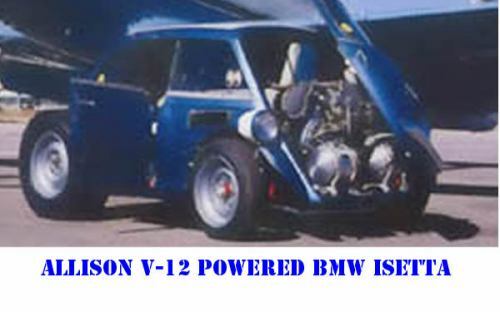 I wanted to do the simple search for something else I knew existed: the most outrageous piston engine transplant ever done in an Isetta. All you gotta do is Google "Isetta Allison"